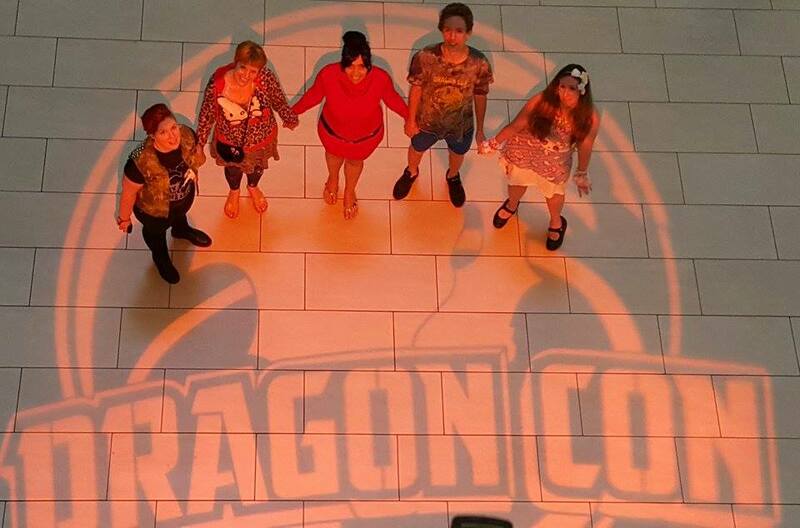 Labor Day weekend has come and gone, and thus another Dragon Con for the books. 2015 marked my and Vynni’s eigth, Lissan’s ninth, and Thian’s third year attending. As the Korelath, this was our fourth. Air transport brought our crew to Atlanta on Wednesday afternoon. We checked in to the Hyatt, gathered provisions, visited the wonderful Polaris for the first time, and observed the already sizable crowd at the Marriott. On Thursday, we were able to get our badges early and very quickly. We were happy to see so many friends arriving, and followed Aaron Douglas (Chief Tyrol from Battlestar Galactica) on his charity pub crawl, #FindChiefEp2. On the last stop at Gibney’s Pub, he was joined by Edward James Olmos, Jamie Bamber, Michael Trucco, Richard Hatch, and Tricia Helfer. We found Chief! With Cecil and Lissan. So Say We All! 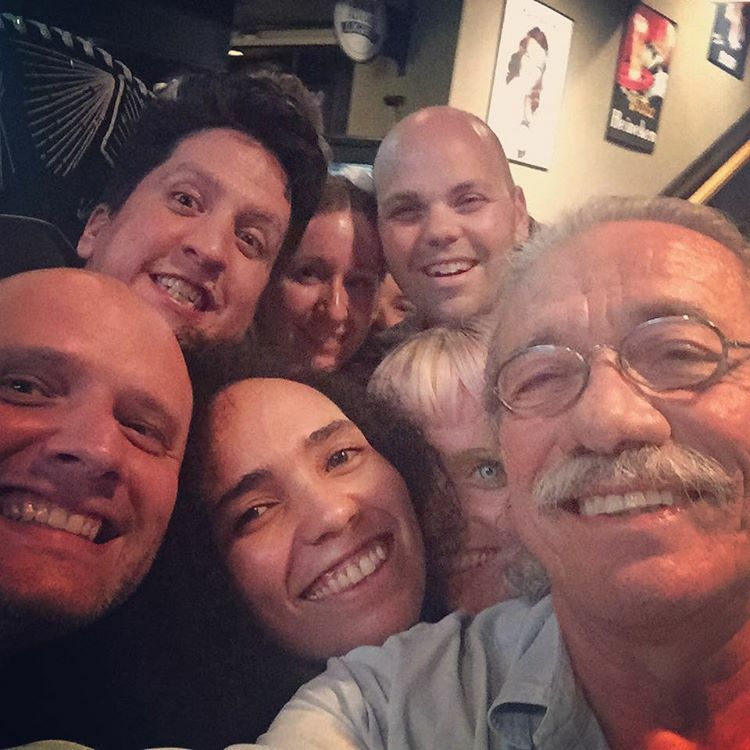 Meeting Edward James Olmos With Nick, Lissan, Vynni, Cecil, Lisa, and Craig. On Friday, Vynni attended a Defiance (We are HUGE Defiance fans. #RenewDefiance!) panel while I was getting into costume. That afternoon, we took part in a photo shoot as the Steven Universe characters Amethyst (me), Pearl (Vynni), and Garnet (Lissan) with friends who were also cosplaying characters from the series. 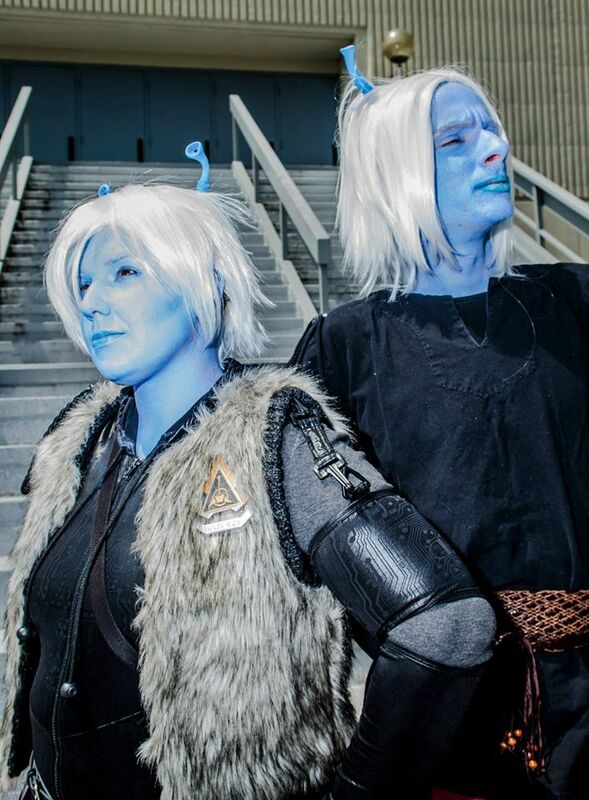 Early on Saturday morning, we got into uniform as our Andorian Mercenary selves for the parade. This year, the parade had a different route and staging area–which we thought we’d adequately prepared for. We made our way down to the shuttle bus pickup point to find hundreds of others waiting to get on. By the time we were finally dropped off, the parade was well on its way and we found ourselves attempting to catch up to the Klingon contingent. By the time Thian and I did–the others were wearing heels–it was nearly over. For a while, though, we had fun engaging with the parade watchers and dispensed many high-fives. 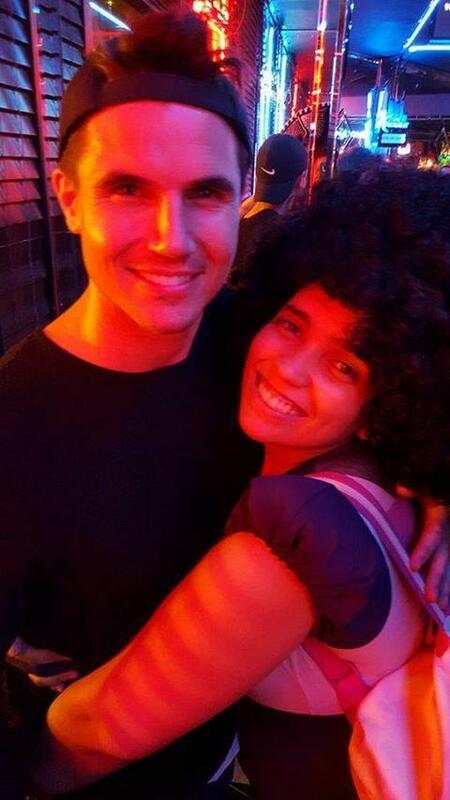 I was happy to finally catch up with Qob!. After the photoshoot, we caught up with Vynni and Lissan at the Terry Farrell panel. We ate lunch and spent some time with Qob! before I needed to go back and get changed–my legs were KILLING me from running through the parade. I was quickly losing structural integrity. Vynni and I attended a Defiance panel and caught up with our friends later that evening. Many adult beverages were consumed, and we attended the Dilithium Crystal Ball. 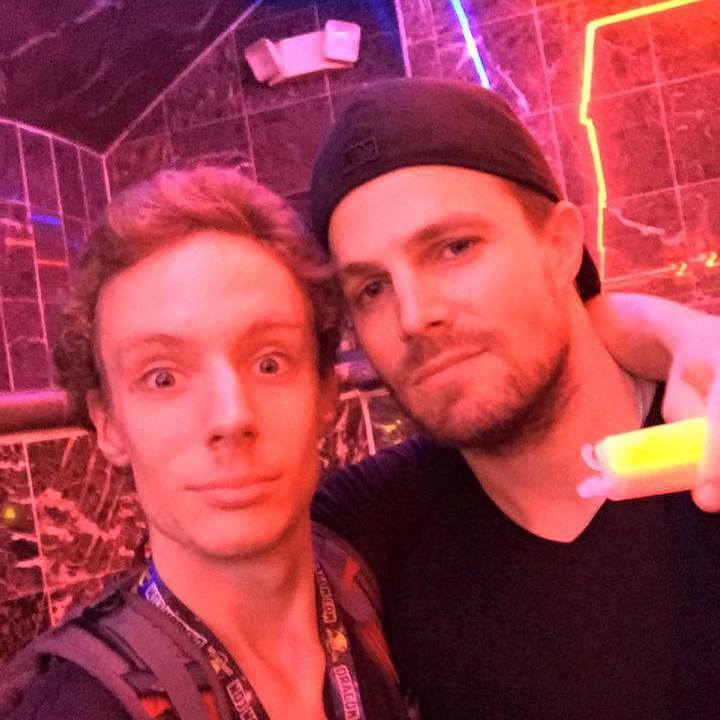 At about 2:30 AM, in desperate need of carbohydrate-based sustenance, we upheld our time-honored tradition of visiting the Metro Cafe Diner–which was absolutely packed, regardless of the hour–where we found Stephen Amell (Arrow) and Robbie Amell (The Flash) singing karaoke. Sunday was spent resting, visiting the vendors, artists’ alley, and art show, and watching the masquerade on DCTV. 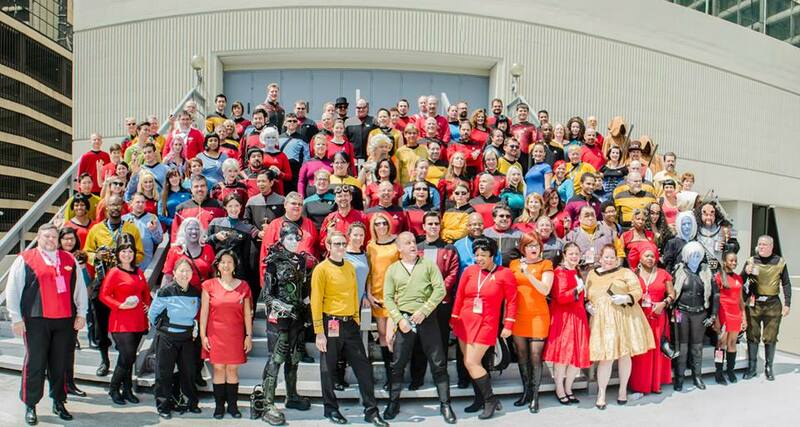 The Miss Star Trek Universe pageant took place, which was won by a Klingon warrior! I heard Qob! and Kolex provided an excellent pre-show act, but we did not attend this year. Around midnight, we gathered provisions (bloodwine of inferior quality) and headed to see The Crüxshadows. On Monday, we attended the last Defiance panel, took one more pass through the vendors’ area, and said goodbye to many friends. This year seemed to go by so fast. Of course we didn’t get to do everything we set out to, and see everyone we meant to, but, as always, we did the best we could. Monday night was spent relaxing, and we flew home to Boston on Tuesday afternoon. We’re already planning for the next one.